Bowman and Maston were teammates in Edmonton last year. It’s notable that Bowman (who played for North Carolina and Oklahoma State in college) played in Edmonton from 2011-2017 before getting cut in February, signing with Winnipeg and then getting traded to Montreal. Boise State product Maston was signed by Edmonton last May, so the two were teammates last season. And they definitely weren’t happy with each other on this play. 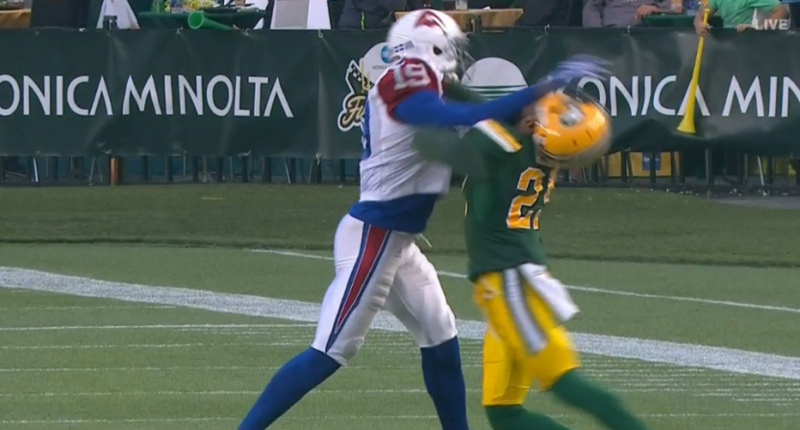 The ejection exchange may actually have worked in Montreal’s favor, as Maston is a starting cornerback and Bowman’s more of a depth receiver at this point, but the game went in Edmonton’s favor. This came near the end of the second quarter with the Eskimos up 27-14, and they extended that lead to 30-15 by the end of the third quarter. But that’s not all that surprising, considering that the Eskimos entered this game 5-3 and the Alouettes were 1-7 (and also giving Antonio Pipkin his first CFL start thanks to Johnny Manziel being in the league’s concussion protocol). The fight may have been the most surprising part of this game.